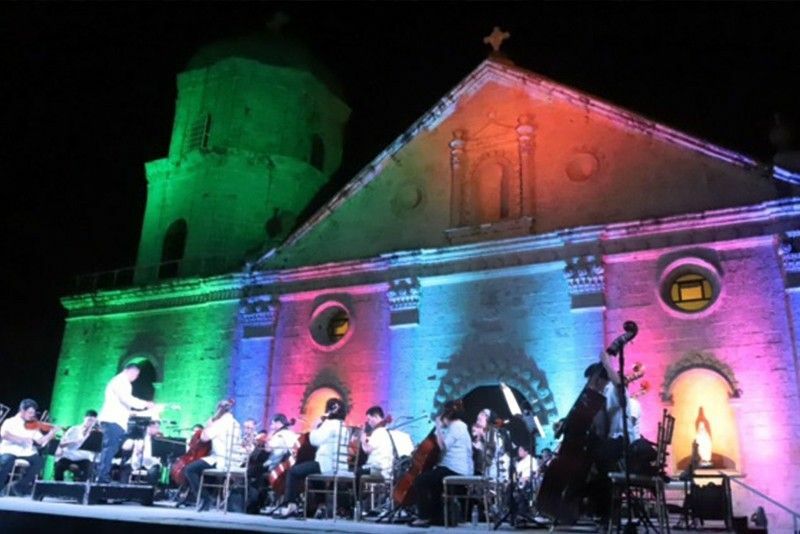 Play it again: The 70-piece Philippine Philharmonic Orchestra, under maestro Herminigildo Ranera, dazzles a crowd of 5,000 during a free concert at San Juan Nepomuceno Church in Anini-y, Antique. MANILA, Philippines — A dazzling full moon hangs in the dreamy night sky and a gentle breeze sweeps over us as the 70-piece Philippine Philharmonic Orchestra takes center stage before an enrapt crowd of 5,000 at the grounds of the San Juan de Nepomuceno Parish Church in Anini-y, Antique. Park in San Jose, Antique. Let’s hear it from the country’s well-loved, top-notch music ambassadors to the world: From classical pieces like the immortal Die Fledermaus Overture to Andrew Lloyd Webber’s mesmerizing Phantom of the Opera to everyone’s favorite The Sound of Music’s My Favorite Things to Frank Sinatra’s New York New York to a medley of Philippine love songs and folk songs (Dahil Sa ‘Yo, Sarumbanggi, Pamulinawen, and Dandansoy as arranged by Ryan Cayabyab) to Justin Bieber’s catchy hot Latin number Despacito as arranged by the PPO conductor himself, maestro Herminigildo Ranera, to the VST & Co. medley that gets everyone rising to their dancing feet. Indeed, ‘tis an enchanted, magical evening for the sleepy town of Anini-y that, just for tonight, happily turns sleepless for this free two-hour concert by the world-acclaimed PPO. It’s a shame that a lot of people can’t even pronounce the name Anini-y. Or that Antique is not as well known as its neighbor Boracay. Did you know that Antique’s claim to fame is having probably the cleanest river in the country, the four-kilometer-long Bugang River? Did you know that Antique has rice terraces, too? There’s more to unravel about this hidden gem, like its cool waterfalls, hot baths, romantic sunsets, and majestic mountains. Where the mountains meet the sea, Antique beckons. Nobody could be prouder and happier this evening than Senator Loren Legarda, a daughter of Antique and the heart and soul behind this PPO outreach concert (March 1 and 2, back to back with Iloilo). Loren fondly traces her Antique roots: her grandfather Ariston Gella who was the first pharmacist of Antique and a delegate to the Malolos Convention, her great-granduncle Vicente Gella who was governor of Antique. She remembers the Antique of her childhood: the lush, green and clean surroundings, the pristine seas, the powder blue skies, the fascinating culture of the indigenous people. And now, this beloved daughter of Antique is back to bring music to the grass roots. “If people cannot go to the Cultural Center of the Philippines to listen to the Philippine Philharmonic Orchestra play because it’s too expensive, we will bring the CCP and the PPO to them,” says a beaming Senator Legarda, addressing her kasimanwas, Antique officials led by Gov. Rhodora Cadiao; guests from Manila led by Senator Sonny Angara and Usec Lorraine Badoy, Komisyon sa Wikang Filipino officers headed by National Commission for Culture and the Arts (NCCA) chair National Artist Rio Almario; and the senator’s 85-year-old dad Tony Legarda. “And this is just the beginning of the many outreach concerts I’m planning to bring to the provinces (how about a concert at the Ifugao rice terraces?). We’re starting off with our PPO concert in Anini-y, at its newly restored centuries-old San Juan Nepomuceno Church which we funded and has been proclaimed as a national cultural treasure by the NCCA,” adds Loren who chairs the Senate Committee on Finance and is a staunch advocate of Philippine art and culture promotion. Not until now has there been a big allocation for arts and culture in the national budget. Loren is likewise pushing for the preservation of our native languages. 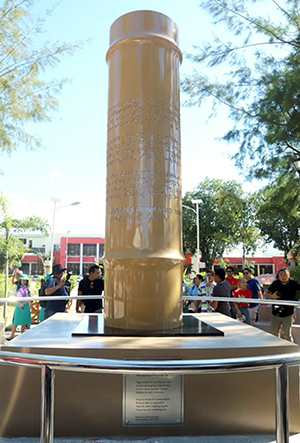 This balmy afternoon, she presides over the unveiling of the first language marker in the country, an installation for Antique’s Kinaray-a, now standing tall and proud at the Evelio B. Javier Freedom Park in San Jose, Antique. After KWF head and NCCA chair Rio Almario broached the idea of a language marker, the indefatigable Senator Legarda with Usec Lorraine Badoy and Loren’s team spent sleepless nights working on it. While music and culture do indeed nurture the spirit, we need food to nourish the body. On the way to Antique, remember to drop by the Lola Rufina Heritage Curio Shop/Camiña Balay nga Bato (circa 1865) on Osmeña Street, Iloilo City (tel. nos. 0333363858, 0333964700). Full moon, a full concert by the PPO, and a full stomach. We can’t help but shout for more, more, more!